1. Planning Consultant, Ministry of Industries, 1983-1984. 2. Economic and Planning Advisor to Vice Minister for Economics and International Affairs, Ministry of Economic Affairs and Finance, 1984-1986. 3. Director of the Office of Interuniversity and International Affairs, Shahid Beheshti University, 1986-1991. 4. Planning and Information Consultant, Industries Division of Mostazafan Foundation, 1986-1990. 5. President, College of Economic Affairs, Feb. 1990-Jan 2002. 6. Founder & Editorial Director of MALIYAT – Quarterly Iranian Tax Review, 1993-2010. 8. Vice Minister for International Affairs, Ministry of Economic Affairs and Finance, April 1996- September 1997. 9. United Nations Development Program (UNDP) Projects Coordinator in Iran, 1995-1997. 10. Council Member, Tehran Stock Exchange, 1996-Sep. 2001. 11. Vice Minister for Taxation, Ministry of Economic Affairs and Finance, Oct. 1997- Sep. 2001. 12. Member of the Board of Trustees, Economic Affairs Research Institute, 1998-2010. 15. Project Development Manager, Iran Foreign Investment Company, Oct. 2004-Sep. 2005. 16. Board Member, Taageer Leasing Company, Muscat, Oman, Nov.2004- Nov.2005. 18. President, Iranian National Tax Administration, Oct. 2005- Sep . 2009. 19. Member of the Arbitration Board of Privatization, May 2006- May 2010. 20. Board Member, Sepah Investment Company, 2010. 23. Chairman of the Board, IOEC Investment Holding Company (HIOEC), OCT.2012-Feb, 2014. 25. Board Member, Iran Shipbuilding and Offshore Industries Complex (ISO ICO), Sep. 2012-Feb.2014. 1.New Tax System for Iranian Economy, First Seminar on Economic Reconstruction and Development of the Islamic Republic of Iran, Oct.11-13, 1989, Tehran, Iran. 2.Reconstruction of Iran and Necessity of Reassessing Educational System, First Seminar on Economic Reconstruction and Development of the Islamic Republic of Iran, Oct.11-13, 1989, Tehran, Iran. 3.Systems Approach to Higher Education in Iran, Research Project, Shahid Beheshti University, 1990. 4.-------------, and Mohammad Karkon, An Analysis of Government Budget Imbalances, EGHTESAD, Journal of the School of Economics & Political Sciences, Shahid Beheshti University, No.2, Summer 1993. 5.Technical & Vocational Education in Financial Sector of Iranian Economy. Paper submitted and presented at the International Seminar on Technological Education, May 1994, Tehran, Iran. 7.Privatization and its Effects on Employment, ECONOMICS & MANAGEMENT, Quarterly Journal of the Islamic Azad University, Vol.24&25, Spring & Summer, 1995. 8.-------------,S. Hosseini, E.Schoney, and K.Sadr, Optimal Fertilizer Distribution Model for Iran, 1980-88, Iran Agricultural Research, Vol. 14,No. 1, 1995. Early version of this paper was presented at 74th Annual Conference of Agricultural Institute of Canada, July 10-16, 1994, Regina, Saskatchewan, Canada. 9.Economics and National Security, Name-ye Farhangestan-e’ Oolom, Quarterly journal of the Academy of Sciences of I.R.Iran, No. 5, Vol.3, Fall 1996. A version of this paper was presented as a part of lecture delivered to the Kyrgyz Academy of Sciences, Bishkek, Kyrgyz Republic, Sep.1994. 10. -------------,K. Amiri, Locating Wheat Storage Facilities-Lorestan Province Case Study, Journal of Economic Research & Policies, Vol. 4,No. 1, Winter 1997. 11. -------------, M. Khalilian, Consistency of Islamic Cultural Concepts with Economic Development, Proceedings of the Seminar on Islam and Development, winter 1997, Tehran. 12. -------------, H. Vafadar, Optimal Logistics of Red Meat in Iran, Journal of Economic Research & Policies, Vol.5, No. 1, Spring 1997. 13. Higher Education in Iran: Patterns and Prospects. Discourse, Quarterly Journal of the Center for Scientific Research and Middle East Strategic Studies, Vol.2, NO.3, winter 2001. Early version of this paper was presented on April 14 , 1999 in the seminar series titled “ The Reconfiguration of State, Nation and Religion in the Aftermath of the Iranian Revolution and the Demise of the Soviet Empire” which was organized and held in the Institute for the Transregional Study of the Contemporary Middle East, North Africa, and Central Asia, Princeton University, Princeton, New Jersey, U.S.A.
14.Fundamentals of Economic Development with an Overview of Iranian Economy. Lecture delivered at the Academy of Economic Studies, Bucharest, Romania, April 25, 2000. 15. -------------,Morteza Gharabaghian, Measuring the Effects of Different Rates of Various Tax Types on Iran’s Economic Sectors, Research Project, Shahid Beheshti University, 2000. 16. State of the Value Added Tax in Iran’s Tax Reform Strategy, Economic Research Review, Vol.1, No. 1, Summer 2001. 17.Imperatives of Tax Laws and Regulations with respect to e-Commerce Development, Proceedings of 2nd e-Commerce Forum, Tehran, June 2004. 18. Toward an Optimal Tax System, Majlis & Pajouhesh, the Journal of Majlis Research Center, Vol. 11, No. 45, Autumn 2004. English translation of this article was published in Discourse, Vol. 6, No. 3&4, Winter 2005. 20.-------------, and Zeynab Ahangar, Investigation of the Effect of Financial Markets Development on Iran’s Economic Growth during the Period 1994-2004, Journal of Economic Research and Policies, No.49, Vol.17, Spring 2009. 21.-------------, M.H. Hosseini, and Z. Shafiee, A Performance Assessment of Tehran City Tax Affairs Office on the basis of a Balanced Scorecard Model, Tax Journal, Iranian National Tax Administration, No.4, Vol.17, Spring 2009. 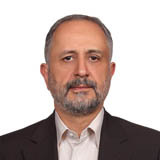 22.-------------, Ali Askar Qasemi Rad, The Effect of Bank Credits and the Real Exchange Rate on the Agricultural Products Exports, Quarterly Iranian Economic Research,Faculty of Economics, Allameh Tabatabai University ,No. 40, fall 2009. 23.-------------, and Ali Dehghani, An Estimation of Business/ Corporate Income Tax Efficiency in Provincial Tax offices, Tax Journal, Iranian National Tax Administration, No.7 , Vol.17, Winter 2010. 24.-------------,and A.Sedaghat Parast, Implication of Environmental Kuznets Curve in Municipal Solid Waste of Tehran, The Economic Research, the Economic Research Center, Tarbiat Modarres University, No.1, Vol.10, Spring 2010. 25.-------------, and Fereshteh Chalak, Dynamic Analysis of Government Expenditures Effect on Economic Growth in Iran, Tahghighat-e- Ehtesadi, Faculty of Economics, University of Tehran, No. 91, Vol. 45, Summer 2010. 26.-------------,G. Taleb Nia, H.R. Vakili Fard, and M.Samadi Largani, Explaining the Relationship between Financial Reporting Transparency and Tax Reporting, Accounting & Auditing Research, Iranian Accounting Association, No.9, Vol. 3, Spring 2011. 27. -------------, M. Golmohammadi, and B. Bagheri, The Compliance Level: The Most Important Index Towards an Effective and Desirable Tax System, Tax Research, Iranian National Tax Administration, No.12, Vol.19, Winter 2011. 28.-------------, Susan Dahi Far, Optimal Location of Gas Stations (Case Study of Tehran Municipality), Quarterly Journal of Economics & Modeling, Faculty of Economics & Political Sciences, Shahid Beheshti University, Vol.3, Number 10, Summer 2012. 29.-------------,M. Samadi Largani, M.Kaviani, N. Samadi Largani, M. Emani, The Explanatory Power of Accounting Measures in Proposing a new Definition of Shares Return, Accounting & Auditing Studies, Iranian Accounting Association, Vol.1, No.3, Autumn 2012. 30.-------------, Mohammad Ali Ghazaei, An Analysis of the Inflationary Effect of “Subsidies Targeting” Scheme of Iran: Flow-of- Funds Approach, Iranian Economic Review (IER), Journal of University of Tehran, Vol.17, No.3, 2013. 31.-------------, S.A. Mosavian, and J. Haddadi, Financing Petroleum Contractor’s Equipment Procurement through Ijara Sukuk (Case Study: Offshore Drilling Rigs),Sixth Conference on Development of Financing System in Iran, March 2014, Tehran, Iran. 32. -------------, B. Bagheri, and M. Jafari Parvar, An Investigation into Transfer Pricing in Iranian Tax System, Tax Research, Iranian National Tax Administration , Vol.22, No.21, Spring 2014. 33.-------------, M. Samadi Largani, M. Imeni, Diamond Fraud and Responsibilities of Managers and Auditors for Prevention of Fraud, Accounting & Auditing Studies, Iranian Accounting Association, Vol. 3, Number 12, Winter 2015. 1. Applied Decision Making, Shahid Beheshti University Press, 1990. 2. A Persian translation of R.E. Shannon, Systems Simulation, The Art and Science, Prentice-Hall, 1975, Iran University Press, 1992. Chosen as the BOOK OF THE YEAR 1372(1993). 3. A Persian translation of Lessons of Tax Reform, The World Bank, 1990, College of Economic Affairs Press, 1993. 4. ------------, and Abbas Hoshi, Financial Instruments & Structural Adjustment in Privatization Program, Center for Privatization Studies, College of Economic Affairs, 1994. 5. ------------, and Abbas Hoshi (Ed. ), Analysis of Privatization Policy in Iran, Center for Privatization Studies, College of Economic Affairs, 1995. 6.----------, and A. Shayani, a Persian translation of R.M. Bird & M. Casanegra de Jantscher, Improving Tax Administration in Developing Countries, International Monetary Fund (1991), College of Economic Affairs Press, 1996. 7. Mathematical Programming, Shahid Beheshti University Press, 1997. 8.----------, and Morteza Mollanazar, a Persian translation of Jit B.S. Gill, A Diagnostic Framework for Revenue Administration, World Bank Technical Paper No. 472, June 2000, College of Economic Affairs Press, 2002. 9. Essays on Tax Policy, (Ed. ), College of Economic Affairs Press, 2003. 10. Probabilistic Models in Operations Research, Shahid Beheshti University Press, 2006. 11. Economic Decision Making in Iran, Economic Research Institute Press, 2006.